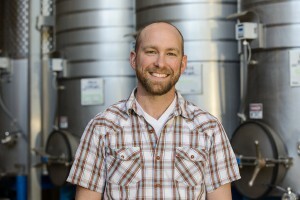 Each week, as our regular readers know, we pose a series of questions to a winemaker. 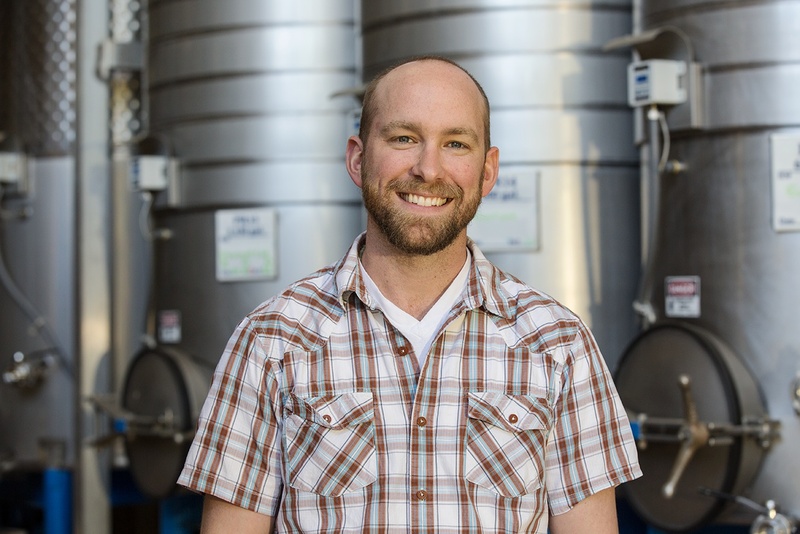 This week, we are featuring Richie Allen, the winemaker at Rombauer Vineyards. Koerner and Joan Rombauer moved to Napa Valley in 1972 and established Rombauer in 1980. Their first vintage — the 1980 Cabernet Sauvignon — was actually bottled at Stag’s Leap Wine Cellars, where Joan was working. Fast forward almost three decades, and in 2008, Richie Allen became winemaker at Rombauer, after having started at Rombauer as a harvest intern and having worked through the ranks. I was born in Sydney, Australia, and mainly raised in Melbourne. I took year off university when I was younger to go travel and rock climb around the world. Through a friend of a friend of a friend, I met some nice people in Sacramento who to this day are great friends. One fateful day for a surprise birthday for one of them, we got to go wine tasting in Amador County in the Sierra Foothills. Although I’d had wine many a time before, I’d never had different wines lined up to taste. It kind of blew my mind. From there, it was all over — I was hooked. Get my winemaking degree and work, work, work. I spent 7 years living out of two suitcases, working and traveling. Cranking out harvest after harvest, while in between visiting wine regions and tasting. Location, location, location. Rather than plant various varieties in a single region, we have looked at what varieties work best in each region and what soils are the best in each. So with that logic, we source Cabernet from our favorite soils in Napa, Chardonnay and Merlot from the best sites in Carneros, and Zinfandel from the Sierra Foothills and a few other very selected sites in the north end of Napa Valley and a single select site in the Red Hills of Lake County. If you are not constantly trying to improve, you are falling behind. The best wineries and estates in the world are consistently trying to make better and better wine. If you rest on reputation, you are done. Consistency. Any winemaker can come in and make a wine, but to make consistently great wine year in, year out, you have to know what you are doing — when to push and when to pull back, when to be aggressive and when a light touch is needed. Maxwell Schubert, Richard Geoffroy, and John Duval. Not sure if I know any new winemakers, but there are so many young winemakers building on what has already been established in the Napa Valley that the future looks so bright, it’s hard to be specific about just one person. To name a few, Cory Empting from Bond and Harlan, Tegan Passalacqua of Turley, Jennifer Beloz at the Prisoner, Benoit Touquette of Realm and Hartwell, the list goes on and on. Whether they are pushing into new areas, discovering forgotten old blocks, pushing the limits of a style or refining an existing style, or just producing consistently world-class wines year in year out, there are just a lot of impressive winemakers out there. And all have risen to the top through hard work and a keen intellect. Gimblett Gravels, Hawkes Bay, New Zealand. Taste the Syrahs… and thank me later. Chambers Rosewood Rutherglen Rare Muscat was the most interesting and one of the best. Or a 1897 Para Liqueur from Seppelts. 1976 BV Georges de Latour Private Reserve is the oldest. Most expensive, I think, is a magnum of ’98 Penfolds Bin 707. A bottle of Penfolds 2012 Bin 138 GSM. A Hawkes Bay Syrah and Clare Valley Dry Riesling. After a 20+ hour day in the vineyard and winery, when you have a shower, nothing beats a beer in the shower. In a perfect world, rock climbing, playing with a camera and chasing my 2-year-old. I was in a genetics research lab before I went into winemaking. I have no idea; fate got me here. I’ve never thought about this before so I’m having trouble defining success. I guess it’s just getting to the end of a day and thinking, “Wow that was cool. Let’s do it again.” Enjoying what’s around you and not taking life for granted.